Honda will return to Formula 1 in 2015 under a joint project with its old partners, McLaren. In what McLaren call a technology partnership and Honda call a joint project the two will combine forces with Honda supplying 1.6 litre V6 engines to McLaren. Honda has already started work on its engine at its plant in Tochigi, Japan. The McLaren-Honda partnership has been one of the most dominant in F1 history: between 1988 and 1992 McLaren and Honda won eight world championships and 44 grands prix, took 53 pole positions and set 30 fastest laps – all in just 80 grands prix. In 1988, the partnership created arguably the single most successful Formula 1 car of all time: the all-conquering McLaren-Honda MP4/4, which was driven to victory by Ayrton Senna and Alain Prost in an amazing 15 of the season’s 16 grands prix. Martin Whitmarsh, McLaren Group CEO must be pretty happy with the news following the dismal start to the season they have endured. He said, “It’s fantastic news for everyone who loves Formula 1 to be able to welcome Honda back to Formula 1. Together, we’re about to embark on a new and extremely exciting chapter in McLaren’s history. 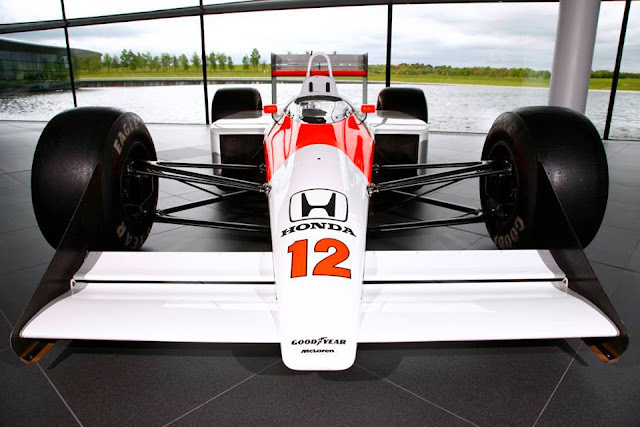 Like McLaren, Honda is a company with motor racing woven into the fabric of its heritage. We’re proud and thrilled to be joining forces once more to take on the world in Formula 1"
"The names of McLaren and Honda are synonymous with success in Formula 1, and, for everyone who works for both companies, the weight of our past achievements together lies heavily on our shoulders. But it’s a mark of the ambition and resolve we both share that we want once again to take McLaren-Honda to the very pinnacle of Formula 1 success. Together we have a great legacy – and we’re utterly committed to maintaining it." 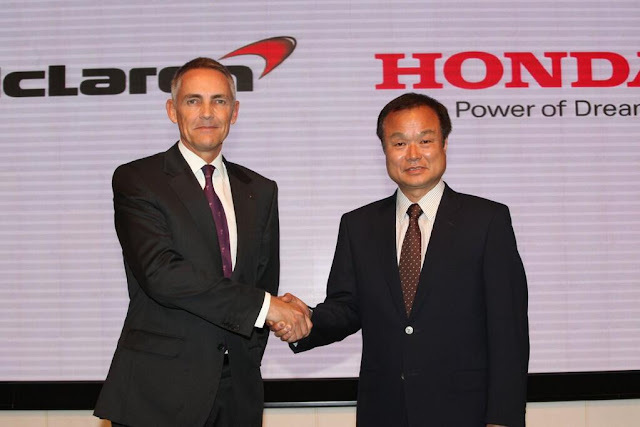 Takanobu Ito, President and CEO of Honda Motor Co Ltd, said, "Ever since its establishment, Honda has been a company which grows by taking on challenges in racing. Honda has a long history of advancing our technologies and nurturing our people by participating in the world’s most prestigious automobile racing series. The new F1 regulations with their significant environmental focus will inspire even greater development of our own advanced technologies and this is central to our participation in F1. Jenson Button, who provides the most recent link between the two companies, said, “I’ve already enjoyed a long and successful working relationship with Honda. I first raced a Formula 1 car powered by a Honda engine in 2003, and I was a works Honda Formula 1 driver between 2006 and ’08, winning my first grand prix in Hungary in 2006 in a Honda Formula 1 car, so I know exactly how passionate Honda is about motorsport, and Formula 1 in particular. “ I grew up watching McLaren-Honda Formula 1 cars racing and winning around the world – they wrote their own glorious chapter of Formula 1 history, in fact. Even now, picturing those unmistakable red-and-white cars evokes vivid memories of some of the most dramatic and exciting motor racing the world has ever seen. The challenge now will be to try and match that success.